Highly effective students know how to study. They pace themselves and don’t save all of their studying for the last minute. 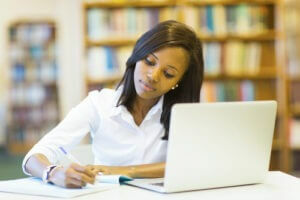 They also know how to take notes along the way to make their studying more efficient. Cramming and other last-minute study techniques can leave them exhausted, and incapable of performing well on test day. Use these ideas to improve your study system, and get a better grade this time around. If you absolutely have to cram before a test, try to take breaks. Sleep is important for learning, so find a few hours to sleep after a long study session, and you’ll be better able to think clearly during the test. Research shows the first sleep cycle lasts about three hours. After that, we dip in and out every one and a half hours. Try to sleep from three to four and a half hours before your test. Studying at the same time every day allows students to study better for their tests and make time for important assignments. Pick a time when you are unlikely to be disturbed and aim for the same time each day. You’ll get a better study session, and your brain will start to become used to your study routine. The place where students study is important. If they find they study best in the library, they should make a habit of getting out of their dorms or apartments, and getting to the library first thing. Make home a safe place from school work, and find places outside of it to work hard and for preparation. This way, home can become a place to relax, unwind, and have some fun. If you’re working toward a master’s in higher education, your goals should be specific and relate not only to your coursework, but your future career. Create lesson plans to start building the skills to become a teacher. Conduct mock lectures when teaching the material you’re learning in school to an imaginary classroom. This will not only show what you haven’t learned, but will prepare you to become a more effective educator. The same goes if you plan to intern as a scientist in the lab or research assistant. Come up with appropriate scenarios and hands-on study that prepare you for your future career and still help you learn the material. Treat studying like a job. The most important thing to remember is students don’t have to be in the mood for studying. Studying is a process, and they may have some good days and some bad days. It’s okay to have a bad study session. Don’t let your mood affect whether you’re going to study. Push through and make your habits stick, and the rest is easy. If you’re going for a long study session, start with the most difficult subjects first. Move on to the easier subjects when fatigue becomes a factor. Remember to take frequent breaks, and eat foods high in protein and carbs to sustain your energy levels and to prevent dips in energy. If you’re looking for more study tips, go to the College Recruiter blog and follow us on Facebook, LinkedIn, YouTube, and Twitter. 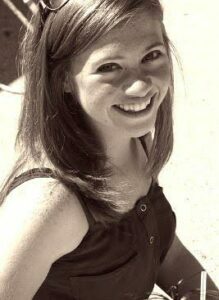 Brooke Chaplan is a freelance writer and blogger. She lives and works out of her home in Los Lunas, New Mexico. She loves the outdoors and spends most her time hiking, biking, and gardening. For more information, contact Brooke via Twitter @BrookeChaplan.